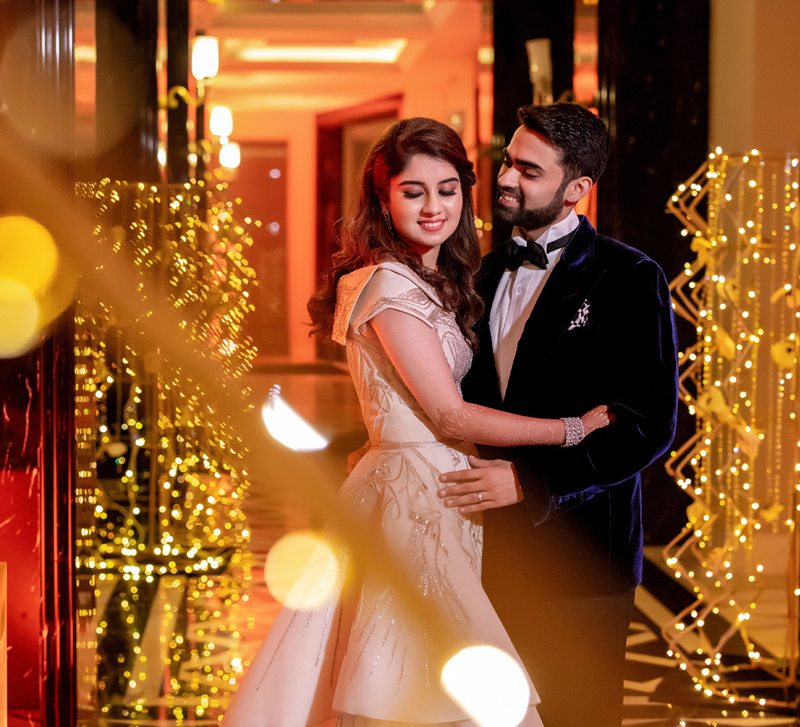 From pretty floral jewelry to flower arrangements that mirrored Ankit and Pooja's vibrant mehendi outfits, this Surat wedding served up a bouquet of fun memories and fabulous decor. 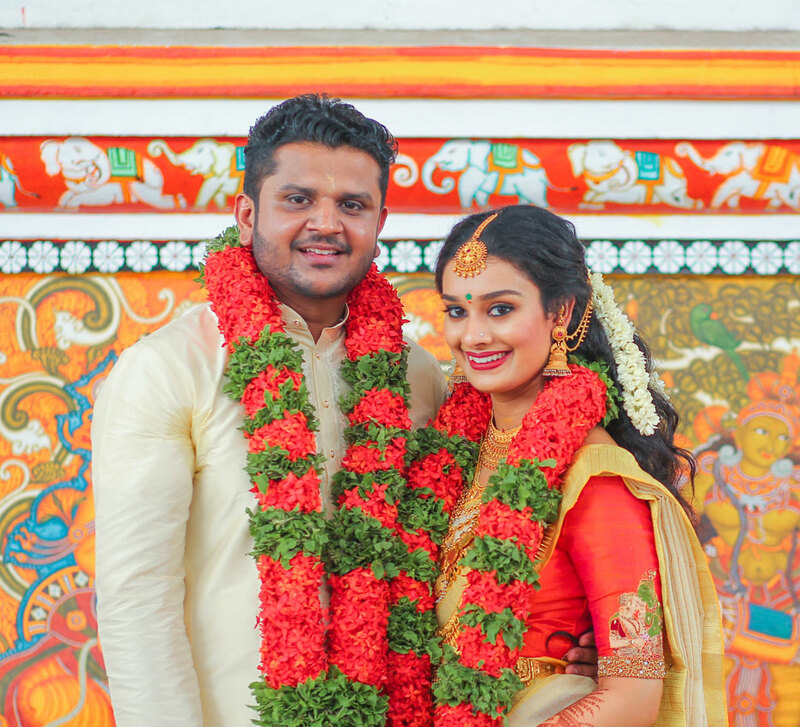 Ankit and Pooja’s wedding celebrations were all about family bonding, traditional bonhomie, and breathtaking decor. WeddingSutra Favorite –Taj Studio captured snapshots from this wonderful event whose highlights we share below. In true tradition, the wedding began with a mehndi. Held in the beautiful ballroom of the property, the decor was minimal and included fresh flowers in a palette that resonated with the bride and groom’s vibrant outfits. Playful and lively, the bride-to-be opted for a green lehenga paired with unique floral jewellery. 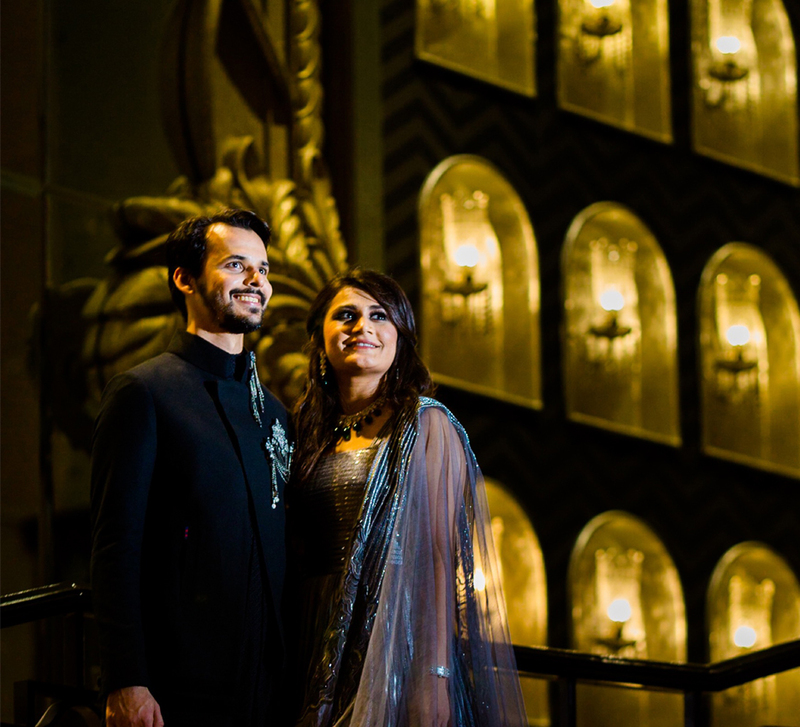 Ankit wore a dark green kurta and a jacket to complement his bride. All things shiny and glittery characterized the engagement. The venue was brought to life with warm lights, a beautiful seating area for the couple with a lush green backdrop, unique lighting arrangements and more. 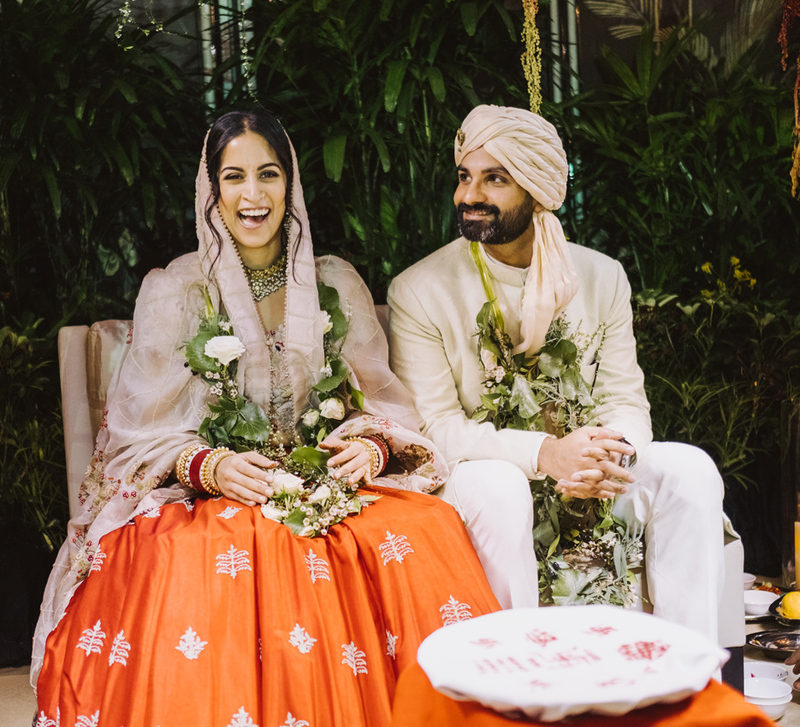 While the surroundings were vibrant, the bride chose to wear a light grey and pink embroidered lehenga while the groom looked royal in his blue bandhgala ensemble. The colors for the wedding were peach, red and white with touches of gold. The couple wanted something elegant, so they went for a setup that included lots of warm lights. While the groom arrived at the venue with his loved ones in a baraat, the bride chose to make a grand entry sitting atop an ornate palanquin wearing a beautiful pink lehenga. Dancers dressed in beautiful outfits led the procession to the mandap. The palanquin was carried aloft by the male members of her family. It was a perfect setting in the ballroom, and the wedding decor included shades of pink and white in elements such as flowers. The entire effect of the setup turned out to be stunning. Ankit wore an ornate sherwani which he paired with a deep maroon velvet stole and a matching turban."